Chances are, you probably haven’t heard of this tiny, magnificent creature. However, the slow loris is in constant danger and this story should be a wake-up call to all animal lovers out there. 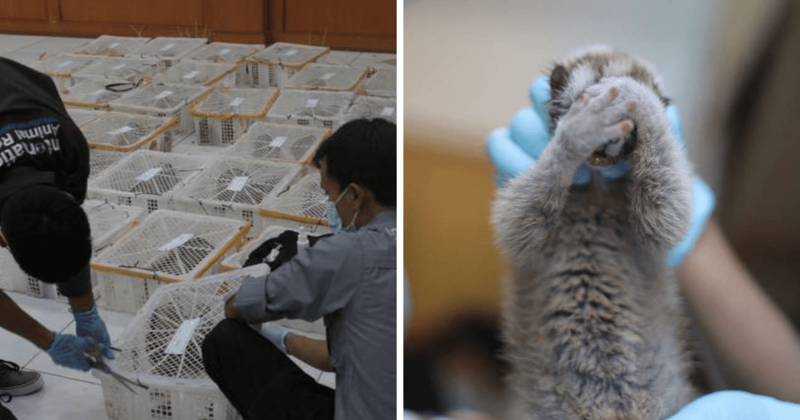 Two men had captured 79 slow lorises and stuffed them into small crates where they had barely enough food and water to survive. The slow lorises, taken from the jungle in West Java, Indonesia, were crammed into boxes and were about to be sent to China where they would be sold as pets. They were terrified, stressed, and clinging to life. Thankfully – a neighbor in the area had noticed what the two men were doing and immediately notified authorities. 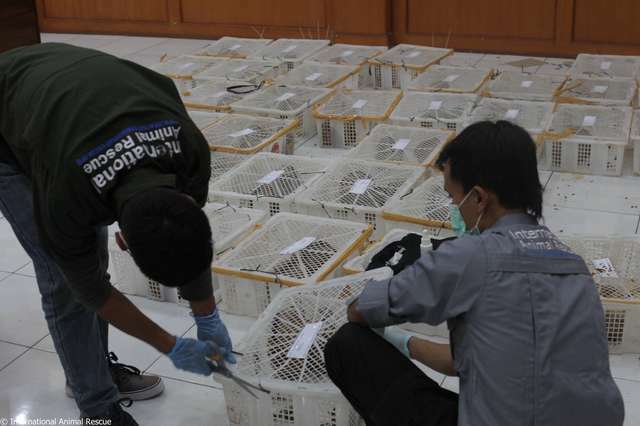 Soon after receiving the call, police reached out to the officials of the West Java Regional Office of the Forestry Department (BKSDA) and International Animal Rescue (IAR). A rescue team was quickly put into place and they descended upon the house where the slow lorises were being kept. 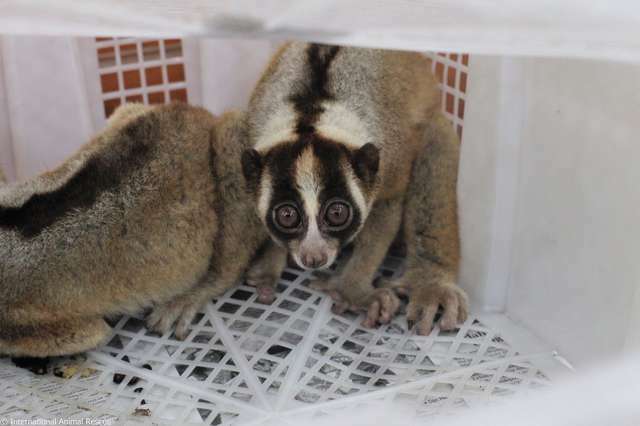 Authorities were able to arrest the two men, but the slow lorises were in terrible condition. Upon examination, it was found that many of the slow lorises had bite marks and wounds on their bodies. It’s assumed that they most likely inflicted these wounds on each other due to the amount of stress that they were under while in captivity. Watch the viral video of a slow loris being ‘tickled’ below and why this is not cute and why they should never be kept as pets. 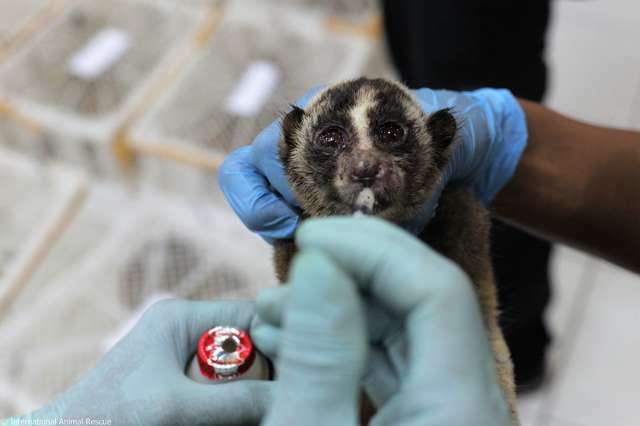 Rescuers were shocked to find that one of the slow lorises had a BB gun pellet lodged in its little face. Although it’s cause for celebration that the slow lorises had been found and rescued, sadly, it was too late for some of them. 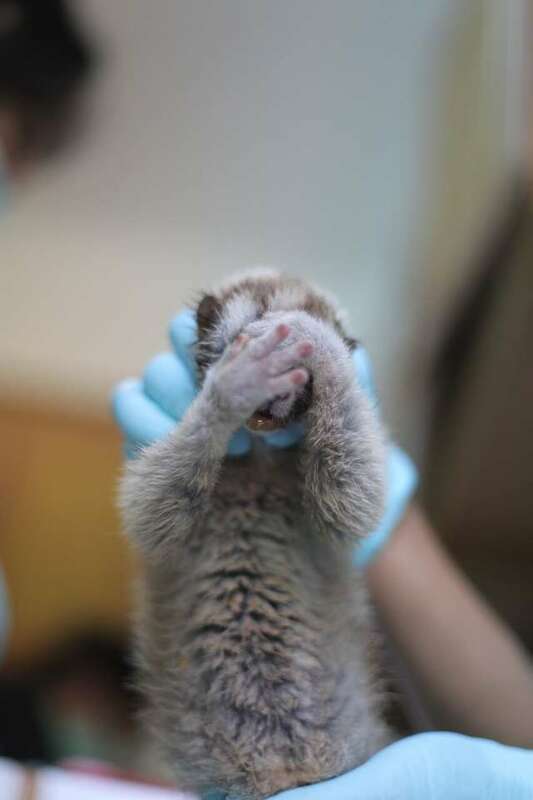 Rescuers fear that other slow lorises may have died and been discarded of before they had arrived. The rescue team is doing everything in their power to help the slow lorises that had survived the ordeal. Slow lorises are taken from their habitats to be sold as pets – once captured, traffickers will often perform painful procedures to make them ‘pet-worthy’. Often times, traffickers will clip or completely remove the slow lorises teeth. It’s an extremely painful procedure that is generally done without any kind of anesthesia. They do this so that the animals are easier to handle and can’t ‘fight back’. 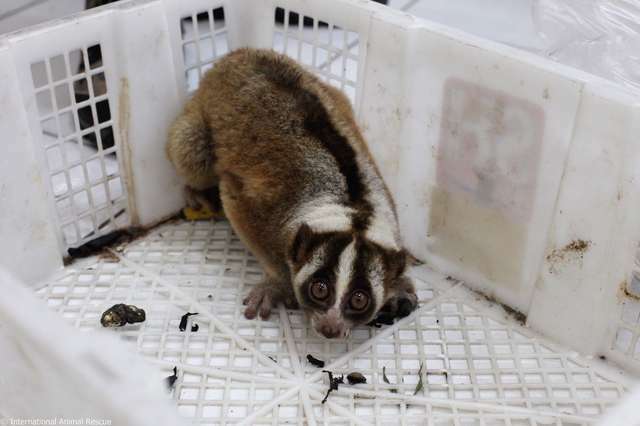 Thankfully – this horrific procedure had not been done to the slow lorises that were found. The IAR team is thankful and relieved that they were able to catch these traffickers and save the lives of these precious creatures. Watch the viral video below and learn why this gorgeous animal should never be kept as a pet.